I'm an R&B/Soul singer and filmmaker. I love creating moving a cappella cover songs accompanied by an awesome and unique music video. I will also be making music videos to go along with my original music! Recording music and shooting a music video can be very expensive and time consuming. Right now I'm not earning any money by making music videos. The only way I can continue to do this is with some sort of budget. I'll be able to continue to hire the talented people that help me make these videos. That's where you come in! 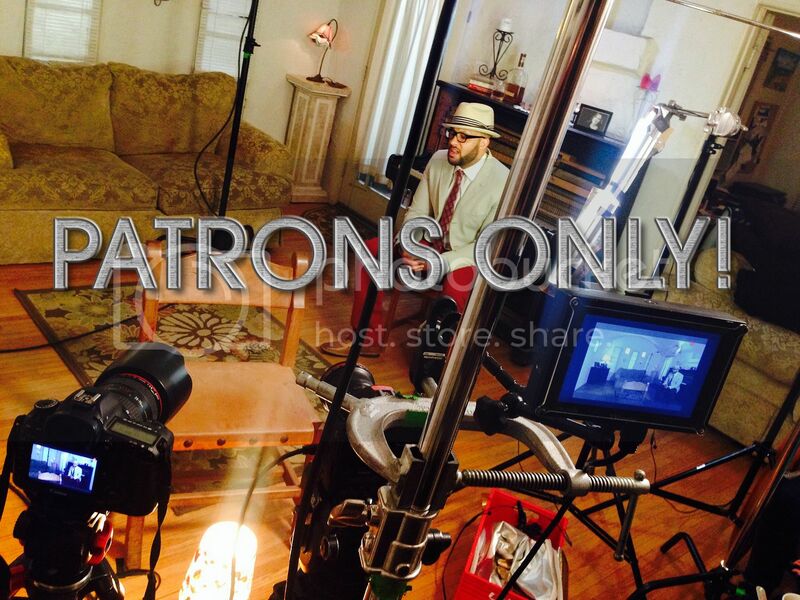 By giving your support on Patreon, I'll be able to hire a great crew and release one new music video every month. Absolutely! And please know, I'm not charging for my videos. They will always be free and you are not obligated to become a patron. Please consider giving $1. Every little bit will help. Thank you for your support and watching my videos! Access to my Patron Activity only feed where I'll post behind the scenes clips and photos! You will receive the video the day before everyone else. You will receive a Karaoke version of the song (the track without the lead vocals). Sing it your own way with all my harmonies backing you up. You will receive a download of the video. You'll get the video the day before everyone else. You will receive a separate MP3 of each individual track to remix or play with however you want. You will receive access to a private email account to send me suggestions, ideas, or requests and maybe even vote on the next video I do. You'll get a personal "Thank You" in the credits of each video. You will receive a personalized video from me for your birthday and one other special occasion of your choice (i.e. Christmas, Anniversary, Valentines Day, etc). You will receive an invitation to a 30 minute google hangout with myself and the creative team of the video each month. We'll talk about how we made the video, answer any questions, laugh, cry, dance, and connect on a different level. I'd like to be able to continue to bring you quality videos. It takes a lot of time and hard work to produce these videos and the technology is constantly changing. At this level I'd be able to compensate the key players (Director, Assistant Director, Director of Photography, Editor, etc) at a decent rate and have videos that don't look like they were shot in my mom's basement on a camcorder.